Pop Culture Puke is a shrine to all that we love. The site was created by Rachel Davies in November of 2013 and is a space for mostly young women to share their writing and art. Pop Culture Puke is now edited by Kathryn Schultz and Molly Gorelick with Rachel as a content scout. Pop Culture Puke had three print issues, but for now exists only as a website. To browse our past #content, click themes in the sidebar. 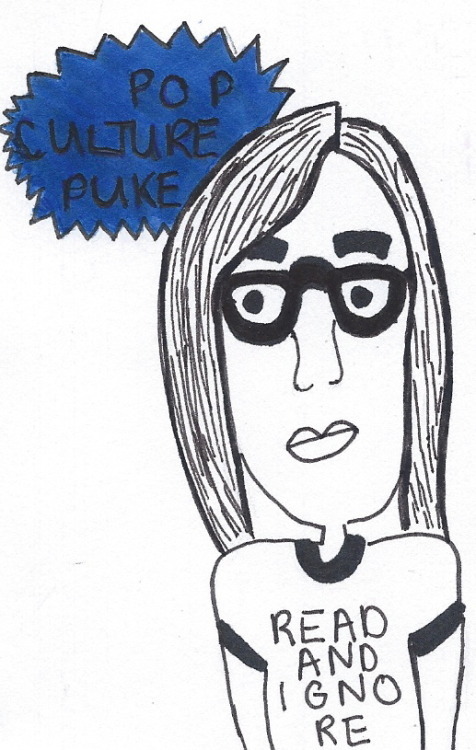 Follow Pop Culture Puke on Twitter here, on Instagram here, and on Tumblr here. Contact us at kathryn@popculturepuke.com or mollsamgore@gmail.com. Pop Culture Puke is a place on the internet to discuss your favourite shows, bands, movies, books, etc. We'd like to explore how we've been affected by popular culture. Pop Culture Puke was created by Rachel Davies, and has a diverse team of girls from their teens and twenties, who you can read more about on the contributors page.